Founded in 2000, Habbo Hotel is the world’s largest online community and social game site for teenagers with over 200 million registered characters to date. Every month, millions of teenagers from over 150 different countries visit one of our Habbo Hotels, which offer communities in 11 different languages. Habbo Hotel is all about having fun with friends in an inspiring and safe environment. 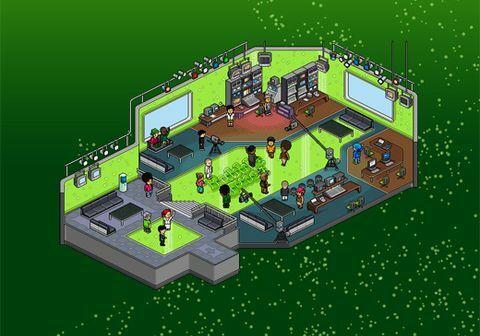 The heart of Habbo Hotel is its users and the activities created by them. Teens can explore their creative side by building games to challenge their friends or by decorating their rooms and dressing up their avatars to reflect their personal style and values. Providing a safe social environment for all players is a top priority in Habbo Hotel which is why all Habbo Hotels are staffed by trained, adult moderators who take action against wrongdoers and assist users with any questions they may have.